Foreign companies often need to develop a whole-of-community approach to ensure that economic gains are widespread. Our methods and tools apply to the assessment of local needs, project identification, execution and assessment. We have developed rapid methods which allow the identification of needs from a wide swath of a local population. 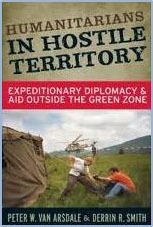 These techniques were developed to be used in conflict areas. The book at right describes our methods in a project we conducted in Ethiopia. 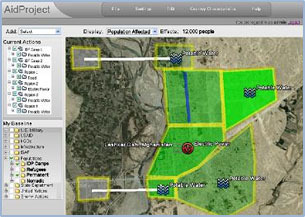 We've developed an innovative tool which estimates the effects of aid and development projects on the local population. Users can play "what-if" analysis to estimate immediate, medium, and long term effects on livelihoods, stability and risks. The tool builds institutional knowledge which can be accessed from anywhere in the world.